When I found out I was pregnant with Sadie, I had a pretty clear idea of how I wanted things to be. I was not going to co-sleep. She would sleep in her own room and in her crib from day 1. I would put her on a schedule and she would be sleeping through the night by week 6. I would let her cry it out because in my ‘soon-to-be’ mom’s eyes, she needed to learn how to self soothe early on. And then she was born. Everything that I thought I wanted changed. I couldn’t bear the thought of her sleeping in that big room all by herself. She had been so close to me for the last 9 months. It didn’t make sense to be apart now. So, our plan changed. Sadie slept in a bassinet right next to my bed. Sometimes we co-slept during naps. I let her determine the schedule. And I couldn’t let her cry it out. I just couldn’t. That’s the way it was until baby girl was about 4 months old. Sadie was an OK sleeper. Bed time was normally around 9:30 and she would sleep until midnight, wake up and eat and go back down until 3 AM. She would wake up again and eat and then sleep until 7, eat and then go back down before waking up for the day at 9 AM. I was exhausted but I was used to it. I was working part time as a nanny and didn’t start until later in the day; so her schedule really didn’t matter. But, we eventually realized we needed to transition Sadie to her own room. Honestly, this was more for my sake than for hers. I was getting way to attached to having my little family all in one room. If I didn’t move her then, it would have hurt so much more to do it later. Okay, that and we were desperate for a full night’s sleep. I started asking friends and family for advice about how to get Sadie to sleep through the night and how to do it in her own room. Most of the responses I got were to let her cry it out. She would eventually figure out how to soothe herself to sleep and sleep in a room by herself. Disclaimer: I completely understand that many people love the cry it out method. I know plenty of ‘Baby-Wise’ and ‘Ferber method’ kids who are well adjusted with wonderful parents. But, it wasn’t something that fit my personality. That is the beautiful thing about parenting; it can be tapered and adjusted to become what you want it to be. However, I did not want to let my child cry it out. I wanted my kids to know that if they needed me, I would be there. I felt like crying is a call for comfort, no matter the age; and I wanted then to know that I will always be their comforter. I was torn. I wanted Sadie to sleep through the night. Heck, I wanted to sleep through the night. But, I didn’t want to let her cry it out. So, I decided to go against the grain and find something that worked a little bit better for our family. I researched quite a bit and finally landed on a book by The No-Cry Sleep Solution by Elizabeth Pantley . I was blown away! I devoured it within a day and immediately went to work. The reason I loved it so much was because it was flexible. It literally had ideas for any style of parent that you might be. If you want to be a co-sleeper, no problem! Have your baby sleep with a pacifier? No big deal! Nurse to sleep? Great! It didn’t matter what choices you make for your child, there was zero judgement. AND, they could help you get your child to sleep with out letting them cry. They also take in to consideration your child’s age. They had a specific section for kids under 4 months old, under 1 year old and over 1 year. It not only outlines how to get your child to sleep through the night, but it teaches you how to transition your child into a new sleeping situation (bed, crib, etc.). It helped me realize that one plan does not fit every child. And, that it doesn’t matter if you started your child on a plan at age 2 months or at 2 years, its never to late to change your child’s patterns with out tears. Our goal was to get Sadie to fall asleep on her own, not in our arms, not nursing, and to stay asleep. We wanted her to sleep in her own room and in her crib; and we wanted her to do it with out crying it out. This book gave us some great ideas and in the end, our goal was accomplished. Here is how we did it. 1. Track your baby’s current schedule. For a week, I made a record of Sadie’s schedule. I wrote down when she woke up, when she ate, how long she ate, what we did activity wise and when she slept. During the night, I kept a pen and paper on Sadie’s dresser and wrote down the time for each of her awakenings. Because we did this, we were able to see exactly what we wanted to change. For example, it helped me to see that Sadie was waking up at least once a night to ‘comfort feed’. Which meant she was waking up to nurse for about a minute and then going back to sleep. She had so many habits that I had never caught on to until I was recording everything. This will also help you to make subtle changes instead of huge drastic changes, which will make your baby much happier. 2. Establish a routine. After we had tracked her schedule for a week, it was time to make changes. Establishing a set routine is key. Write it down and stick to it. We decided that bed time would be at 8:30, sharp. We began our routine at 7:45 with a bath. After the bath, we put lavendar lotion on her and got her jammies on. We read a book, sang a song and then snuggled. Afterwards, we let her nurse and then it was time to sleep. That was our routine EVERY night. We made the commitment to never deviate from our routine. If we got home late, we still did the routine. If we were at my parent’s house, we did the same thing. Nap time was a shorter version of the same thing. After about 5 days, Sadie started catching on. She knew that the bath meant it was time to settle down. 3. Decide on a sleep queue. A routine will let your child know that its time to wind down. A sleep queue will tell your child its time for sleep. It’s something you will do after your routine, right before you put your baby down in their bed. You want to avoid letting your child fall asleep in your arms. The point is to teach them to fall asleep on their own in their own bed. To do that, you need to prepare them for bed. Like the routine, you will want to choose it and keep it consistent. The book presented many different options for getting your child to sleep with out letting them cry. There were ideas like playing certain music, letting them nurse to sleep, making shushing noises, saying certain phrases. There were literally tons of different plans. After you have selected a different ‘queue’, you apply it right after your bed time routine. For us, it was a shushing noise. After Sadie nursed, I would gently make shushing noises and lay her down in her crib. I would make sure to put her down right as she was starting to fall asleep, but still slightly awake. If she started to cry after I laid her down, I would pick her up and comfort her and then do the same shushing noise and put her back in her crib once she stopped crying. We would repeat that same pattern until she realized it was bed time and would fall asleep. Each night it took a shorter amount of time for her to fall asleep. When she would wake up at night, she would eat and then we would do the same shushing noise while putting her back in her crib. Since Sadie had the tendency to ‘comfort feed’, I slowly started shortening the amount of time I let her each during her night time feedings. She started to realize that she really didn’t need to eat. In time, her night time feedings decreased to only once. 4. Track your baby’s sleep. Through out the whole process, continue to track your baby’s progress. Write down the times she wakes up during the night and how long she is awake for. You should begin to see some positive change. If things don’t begin to change after 3-5 days of your new routine, try something new. Different babies like different things. 5. Keep at it. This is definitely not a quick fix. They say the cry it out method works with in days. This will probably take longer. It took Sadie a month to be able to go down without any fuss. That means that bedtime took almost an hour. It was a constant marathon of picking her up, comforting her, and putting her back down. But, the first night she went to sleep on her own was amazing. Ever since then, all we need to do is put her in her crib or pack n play and she goes to sleep with out a peep. Now I know, if she ever does cry, something is really wrong. She has learned that if she cries, I will be there. If she needs me, I won’t just let her cry it out. We were able to get her down to 1 night time feeding until she was about a year. Then, all of a sudden, she stopped needing that, too. She now goes to sleep at 8:30 PM and sleeps until 9 AM. Every day. And takes a nap. She is a champ. 6. Make changes as necessary. Be flexible! This is a baby. You aren’t breaking a horse here. If you don’t like something, change it! It’s not a race. Chances are you will start the process out one way and end it completely differently. That’s the beauty of recording your progress; it makes it easier to change things. I know this might not seem like a straight forward plan. That’s the thing though, there is not a quick fix or a one step solution. If you are dedicated to a non cry it out method, it will take some time. There will be some trial and error, and that’s okay! 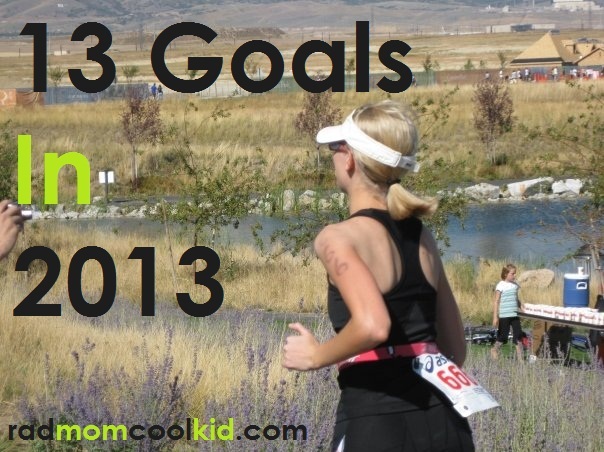 Figure out what your goals are for your child and then establish a plan to make it happen. It worked for us, but it took work. In the end though, it was completely worth it! What methods have you used for sleeping? I had planned to post the recipe to my home made spaghetti sauce recipe today. I really did. But, life got away from me this week. Well, more like for the last couple of weeks. It has been a crazy summer here at the Alo household. Honestly, it has been the busiest one I can remember. In May, I was looking forward to all we had planned. But, as the weeks went by I found myself thinking more along the lines of ‘Ugh. I am so ready for summer to be over. I’m tired. I just want it to be fall already.’ And, now it’s fall. You know what? I wish I could go back and do it all again. I wish I had spent less time wishing for the end and spent more time soaking up the sun. I did some soul searching this week. I thought a lot about my experiences in high school, my mission, my marriage, and I realized something. I never enjoyed those moments while they were happening. I enjoyed them afterwards. I lived in Argentina for 18 months. Argentina, guys. That’s insane! A 3rd world country with a completely different culture than what I was used to. I had the opportunity to learn new things and savor every last bit of the latino style. Did I? Somewhat. But, I also spent a lot of time looking forward to going home. I spent a lot of time missing Burger King and peanut butter. I spent a lot of time worrying about what I would do after my mission and looking forward to my next steps in life. Now when I look back, I kick myself for not living in the moment more. Worrying did absolutely nothing for me, except cheat me of the experiences I could have been having. The same goes with my marriage. I look back on the past few years and think…’man, i am so lucky’. But the thing is, through the last few years, I have spent the majority of my time wishing the next step would come faster. Wishing that we had more money or that we could build a house. I look through Anthropologie magazines and can’t wait until ‘we have enough money to buy all those things’. How insane is that? I have this gorgeous little girl, a wonderful husband, we have a steady job, good cars, a roof over our heads, loving family and friends. But, all I can do is wish for other things. Instead of being grateful for the things I have or the place I am in my life, I live for this imaginary perfect world that I have made up in my head. The best part is, that world doesn’t exist. There will never be a place that will make me happier than I am now. There will never be a salary or money in the bank that will make me happier than I am now. Why? Because I determine my happiness. I determine what my life is. 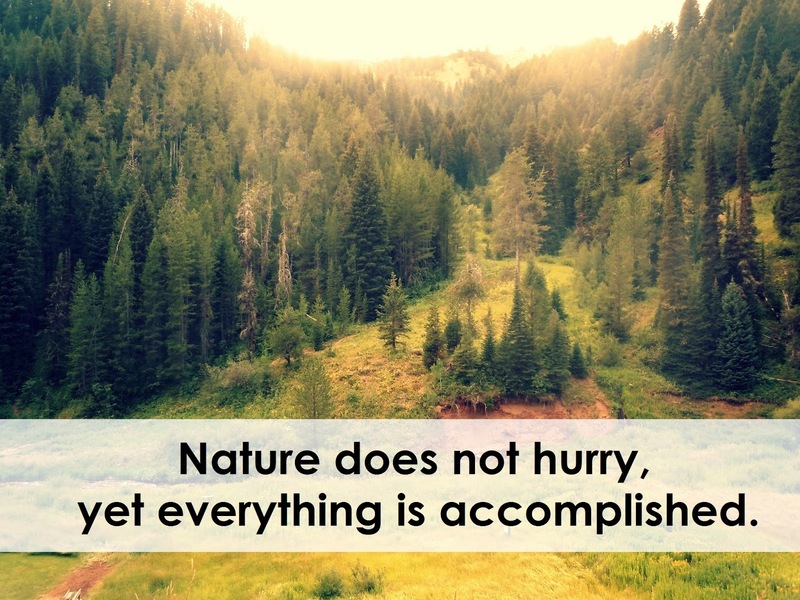 It isn’t dependent on a job or a home. Its dependent on me. *Queue epiphany*. I don’t want to live like that anymore. I don’t want to live for the future. I want to live for the little moments like this and cherish them. So, instead of working on my spaghetti sauce post this week. We did a whole lot more of this. And yes…. that is Lane dancing the Haka at Chalk the Block. So, even though I may not have it all, I am okay with it. Alright, I am learning to be okay with it. My goal is to live in each moment and love each moment, to stop comparing my life to others, to be grateful for all the wonderful things that surround me. It is a super hard goal for me, but I refuse to stand in the way of my happiness again. ……But yes, at some point I definitely will post the spaghetti sauce recipe. Don’t worry. 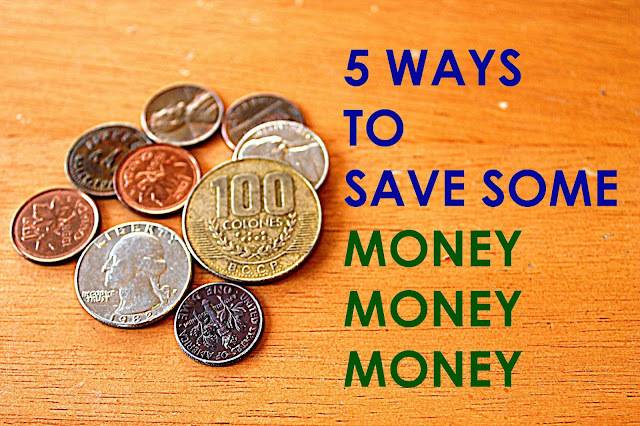 One of my New Year’s Resolutions (find ’em all here) is to find and implement 5 ways to save money. I sat down with Luke a few nights ago to remind him about how small our house is and how we can’t stay here much longer and what if I accidentally get pregnant with twins and why is Noa already the size of a 12 year-old and my closet shelf is sagging and who’s idea was it to make our two kid rooms only big enough for one twin bed and a dresser? We sort of stared at each other and sort of brainstormed- we could move their dressers into the hall…no…we could move all the kids into our room and turn the living room into our master bedroom…awkward. Before we knew it it was 2am and nothing productive was happening so we went to bed. The next morning, we magically had much better ideas. NEW GOAL: Pay off 2 debts that we feel are unnecessary- the kitchen floor (here) and the second car. This will free up a pretty solid amount of $$ that we can then use toward renting a bigger house and renting our small house to someone else. 1. Cable/Dish– we will not renew our dish service when our contract is up in a few months. We have Netflix and can find our favorite shows online. We want the dish but we don’t need the dish. This will save us $40 a month or $240 for the rest of the year. 2. Cell Phone– we dropped our data plans. I’m a stay at home mom, I can check email and browse at home. Luke doesn’t need the plan for work, either, so…we dropped it, and we’ll save $20 a month or $220 for the rest of the year. 3. Travel– We’re putting our anniversary trip on the back burner :( Sad. But we payed off the floor with the money we had already saved and we still have a ton left that we’ll put toward the car balance. We’ll also be sticking around during long weekends and school breaks. 4. Memberships– Gym, spa, bulk stores…I dropped a membership that was $50 each month or $500 for the year. Not all memberships are money-suckers but my massage pass was. Boo. 5. DIY– I’m going to make the following instead of buying: laundry soap, dishwasher soap, bread, and I’m going to grow a garden this summer with all our favorite herbs and veggies, which I will preserve to use in the fall and winter. With our new plan we will have our car paid off in October and will then be in a solid financial position to get out of our cute little home and into a cute bigger home. Remember!!! If you save a dollar, you have a dollar. If you increase your income by a dollar, you have less than a dollar because of taxes! What are your goals? Have any suggestions or tips for mine? !